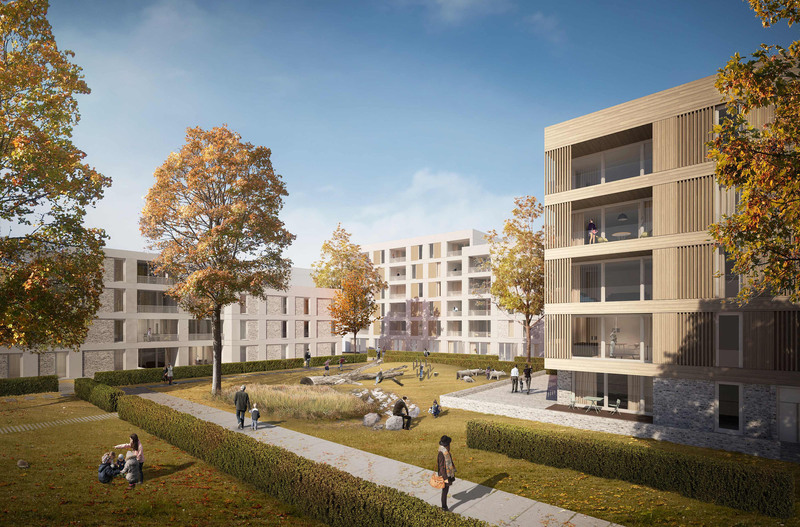 A two-phase urban planning and architectural competition with twelve participants, in collaboration with RAU Architects in Amsterdam and Karres en Brands Landscape Architects in Hilversum. 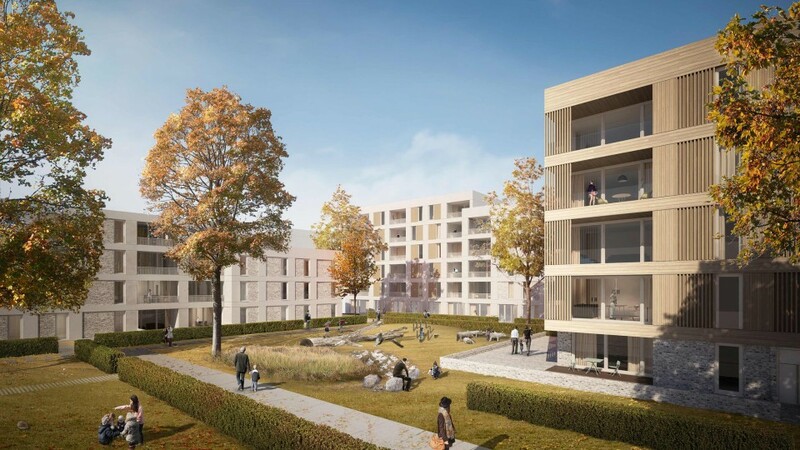 The aim of the competition is the high quality urban and architectural reconstruction of the Westend residential estate (7.5 ha), with special emphasis on a pioneering living concept that complies with sustainable construction principles. Through its location and geographical features, the Berlin-Westend district combines the conveniences of both urban and rural living. 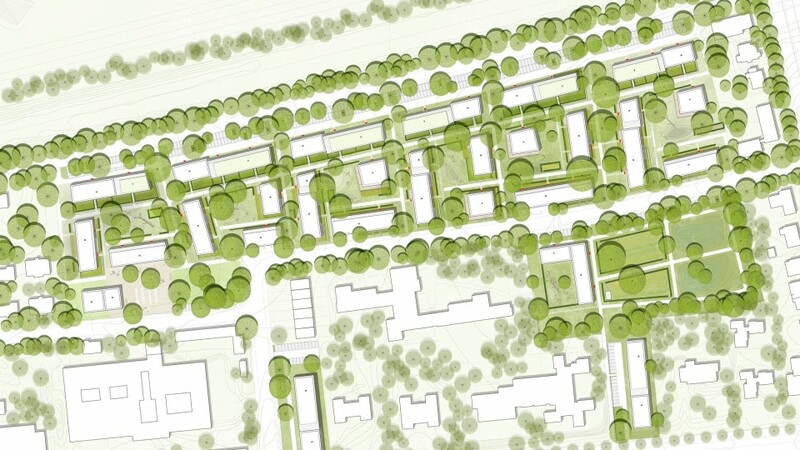 The design brief calls for an urban, ecological and socio-spatial concept which reflects this quality of life and provides a supportive community network for residents. 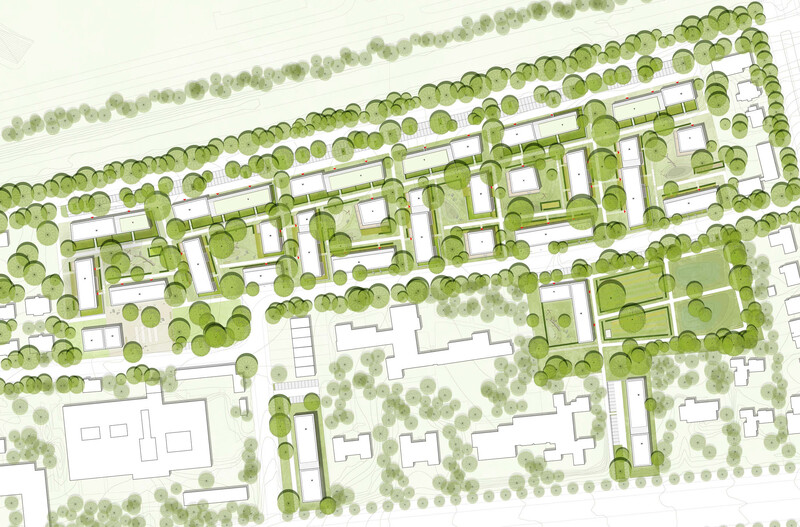 The result is a series of compact courtyard areas with diverse building typologies. The current ‘sharing’ trend also plays a central role in the Westend residential estate. The anonymity of city life is broken up and a communicative, community life is promoted at all levels, from the direct neighbourhood to the broader local area.